Give Me The Sea & A Cottage With A Beach View Just To Be. This one's for ME!! Beach View Cottage--a location for making memories for a lifetime on historic 2nd Street! 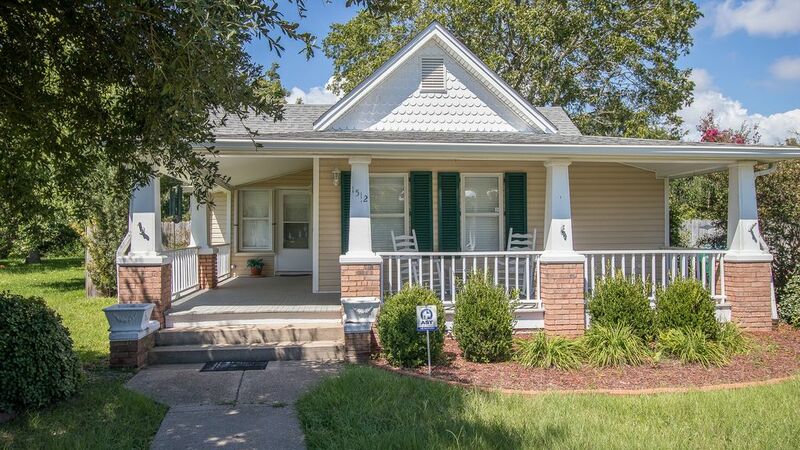 A large, roomy home located on beautiful historic 2nd Street in Gulfport MS welcomes YOU! And we will consider pets! From the typical southern wrap-around porch with rocking chairs porch giving you a Gulf view to the pretty landscaped rear yard with deck to the large open interior there is more room to spread out and relax than you can shake a stick at! Wonderfully and comfortably decorated, there are two living rooms where you can escape and take that afternoon nap. The bedrooms are very comfortable with ample storage. The parlor has a day and trundle bed. And the kitchen! It has pretty cabinetry with all new modern appliances. The rear deck allows for private sunbathing and has a gas grill to grill those fresh Gulf Oysters!! YUM!! The large rear yard is fenced and shaded by Oak and Pecan trees. You can pick your own tangerines for breakfast from the tree every morning. Historic Downtown Gulfport has become the premiere night spot for dining and entertainment with food from Cajun to Italian to Seafood! Take your pick and stroll or drive to enjoy the quaint pubs, restaurants, and outdoor bistros! There are shops, a micro-brewery, and art museums in downtown Gulfport and the famous Fishbone Alley is not to be missed! Another great treat is Pop Brothers on 25th street just north of the famous railroad tracks in downtown Gulfport. Pop Brothers made it big on Shark Tank and are now "popping" up all over the South. Their many varied and intense flavors are not to be missed even on a cold winter's day. In the summer they are even better! Our huge Aquarium and educational site will be open in 2019 about 5 blocks away. This will be a wonderful addition to what we offer on the Mississippi Gulf Coast. At Beach View Cottage you can walk, bike, or drive just blocks to multiple restaurants for meals and beverages, or cook at home. It makes a great base for adventures all along the 26 mile sand beach as it is in the heart of it all! The Sea, the Cottage, and the Beach View are Just for YOU! Call or book online to make this your Vacation Location! What a great home in a great location. This home had everything we needed for a fun spring break trip on the Mississippi Gulf Coast. The home was very nice our stay was for 2 and a half months. We left two days early and just after locking up we realized we had left an important item behind we used our code # and apparently the code was changed we were unable to get back in. Seems a little unusual as we still had two days left on our contract. Just be aware of code box entry&#x2019;s.
The home was superbly clean when we arrived. The kitchen is perfect for gathering together your large group. We had an issue with the wifi when we first arrived. The owners responded right away and had us back up and running. The neighborhood was very quiet and you have beautiful views of the gulf from the front porch. Our teens took many daily walks to the beach, which is just minutes from the home. We would certainly stay here again! Thank you for the wonderful response to our cottage for your visit!!! We consistently have guests who love it. Our returning guest rate is phenomenal!!! We are so happy you will be one of them. This was our Family's 4th stay at this home and it was excellent as usual. Just very easy and comfortable home with the perfect location at the Beach in Gulfport. Had never used VRBO before but will definitely be issuing it again. And this house was perfect! We have 2 teens & an 11- year old and this place provided us with all the room we needed & more. Location was perfect too. A quick 1 block walk to the beautiful white sand beach. Who could ask for more? Check-in & out was close & simple. House is well furnished, clean & pretty. Really enjoyed our stay. Thank you. We had a great stay-enjoyed the home and the kids loved the backyard and rocking chairs on the porch. Nancy was great and easy to work with-if we vacation in the area we will definitely book again.